Alloy Wheel Upgrade, Auto dimming Rear View Mirror, Auto Lights, Bluetooth Telephone Connectivity, Chilli Pack, Climate Control, Cruise control with Brake function, Darkened Rear Glass, Digital Radio, Full Service History, Harman Kardon Hi-Fi, Head-Up Display, Heated Seats, JCW Bodykit, LED Headlights with Cornering Lights, Media XL Pack, Mini Connected, Multi Function Steering Wheel, Parking Assistant, Satellite Navigation, John Cooper Works Sports leather Steering Wheel, Comfort Access, Visibility Pack, Front Centre Armrest, Anthracite Roof Lining, TLC Service Pack. 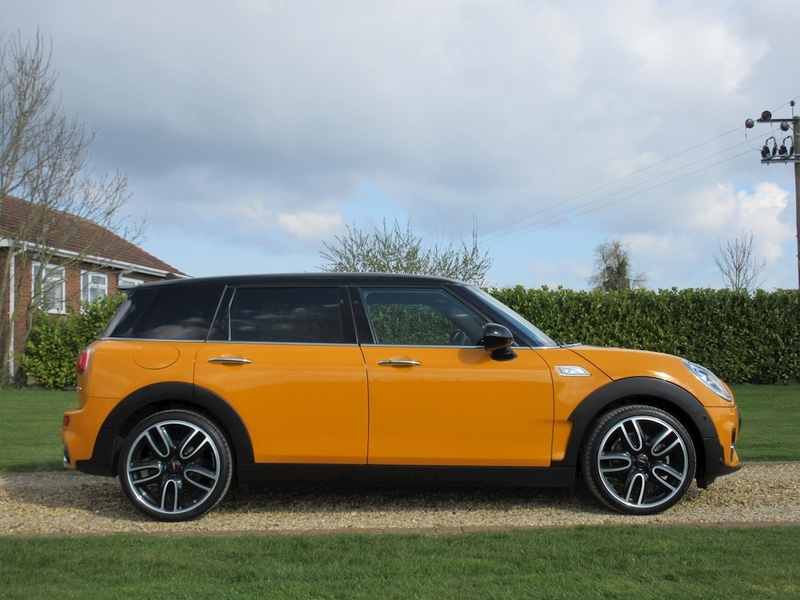 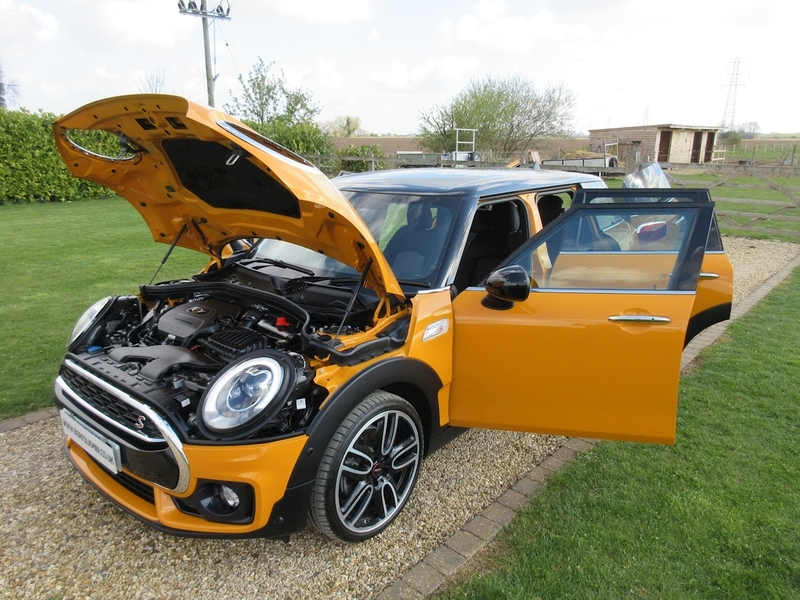 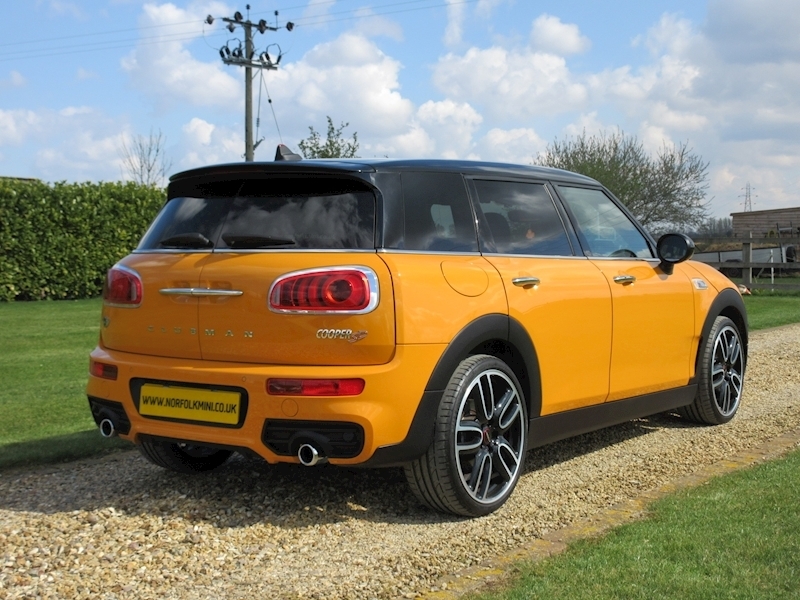 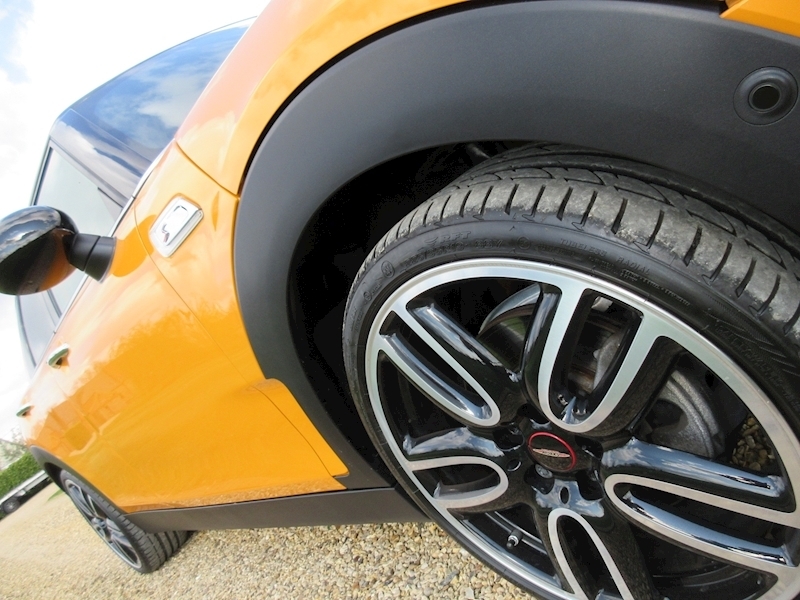 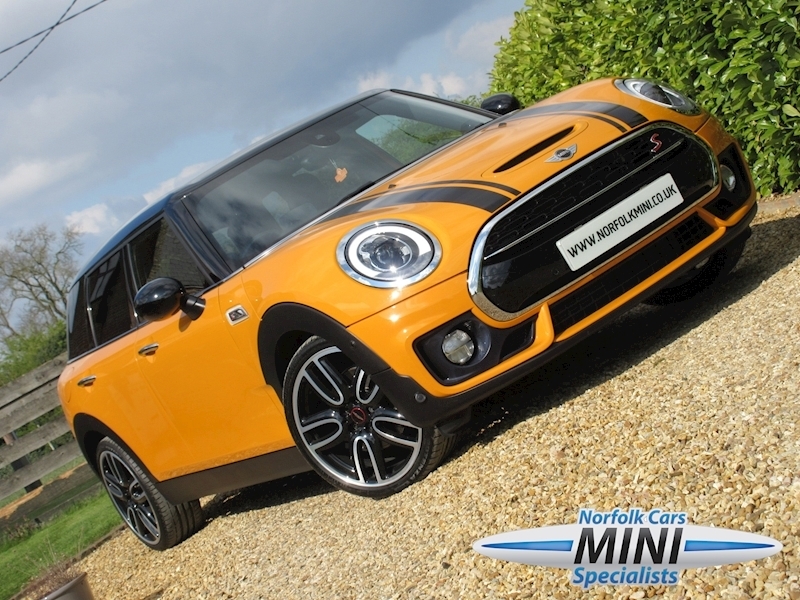 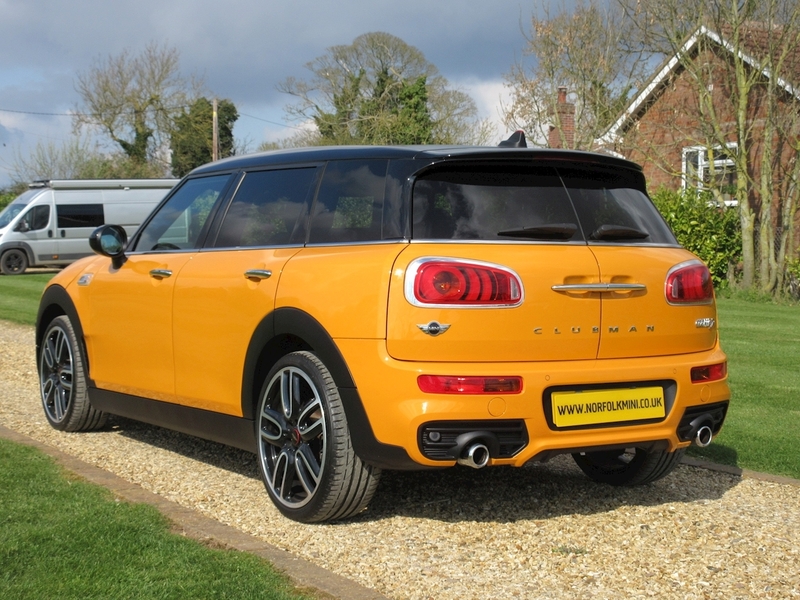 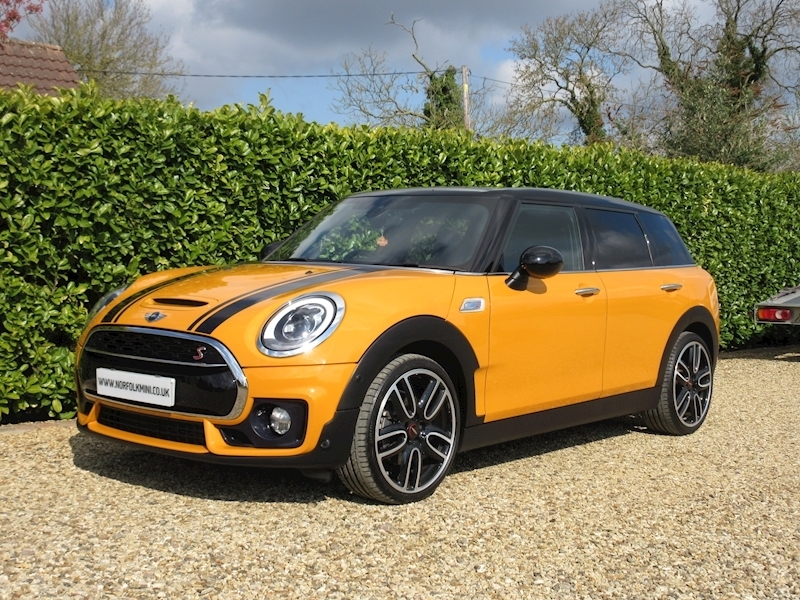 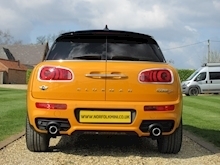 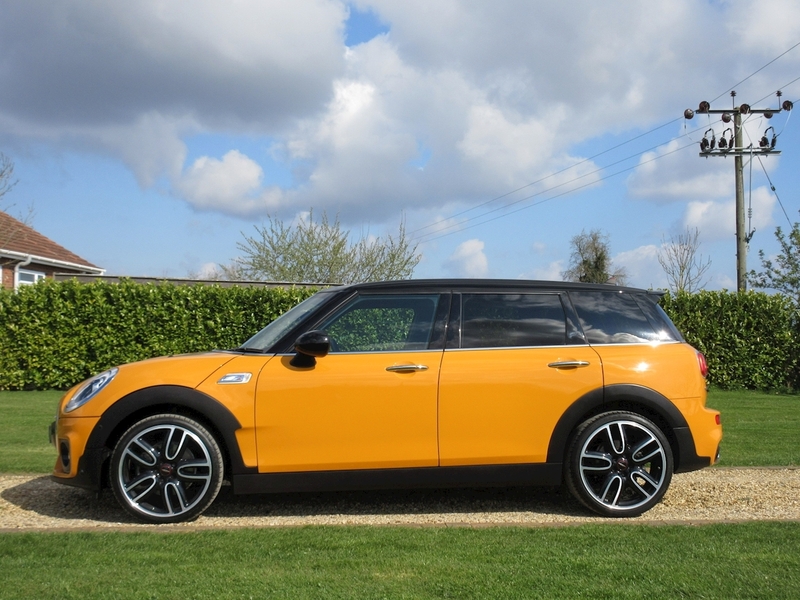 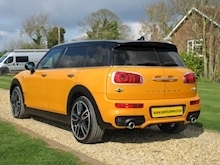 A Huge Specification Mini Clubman Cooper SD finished in Volcanic Orange with Black Roof and Mirror caps. 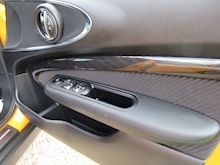 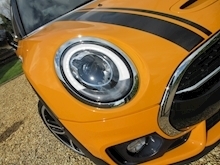 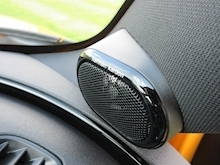 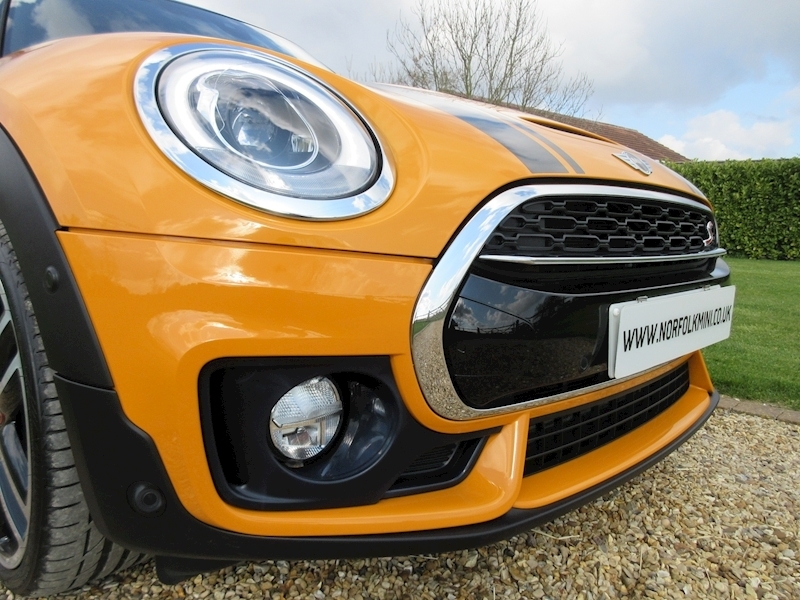 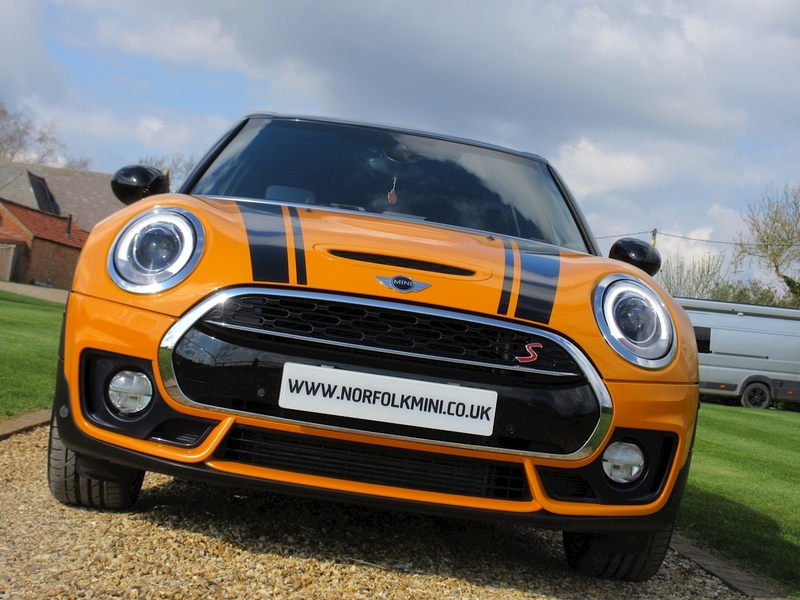 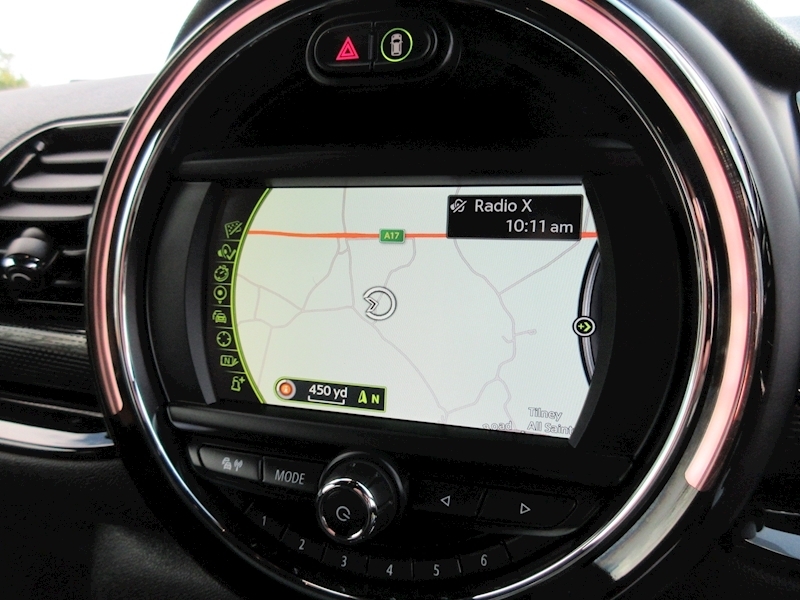 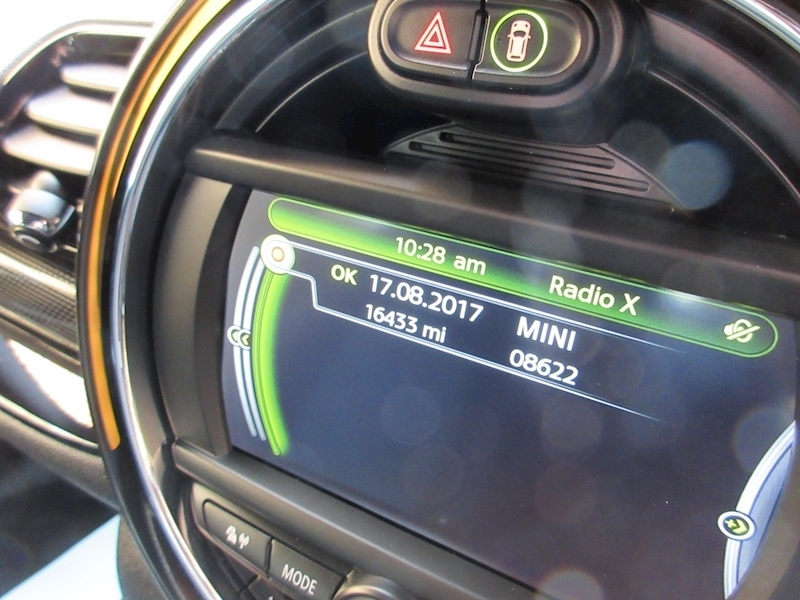 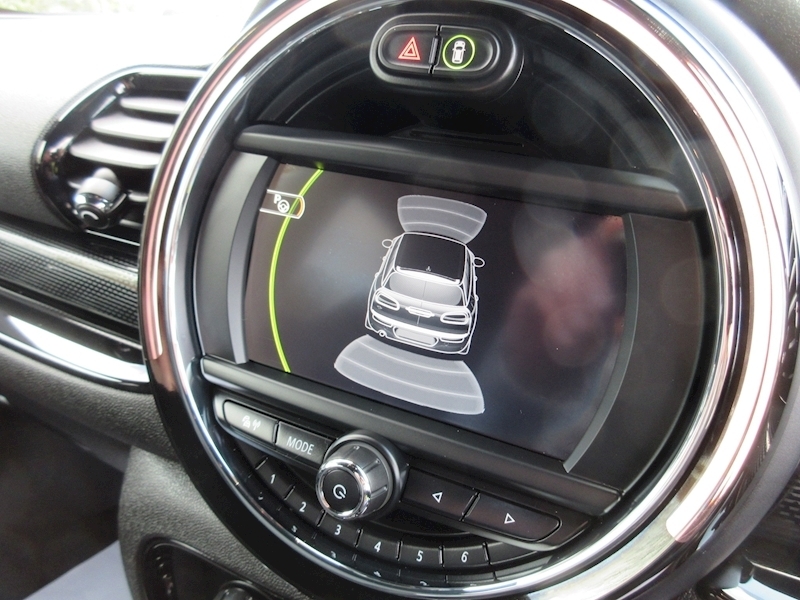 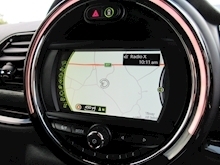 In addition to the Chilli Pack, this Mini also has the optional John Cooper Works Styling, 19" JCW Alloy Wheels, Harman Kardon Hi-Fi, Head-Up display, Media XL Satellite Navigation, LED headlights with cornering function, Front centre armrest, Heated seats, Parking assistance, Darkened Rear Glass, Visibility Pack, and Comfort access. 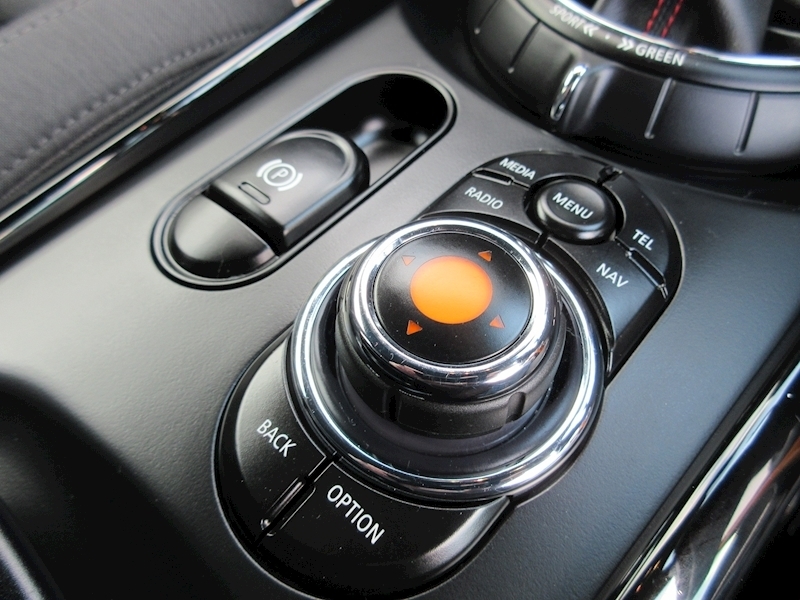 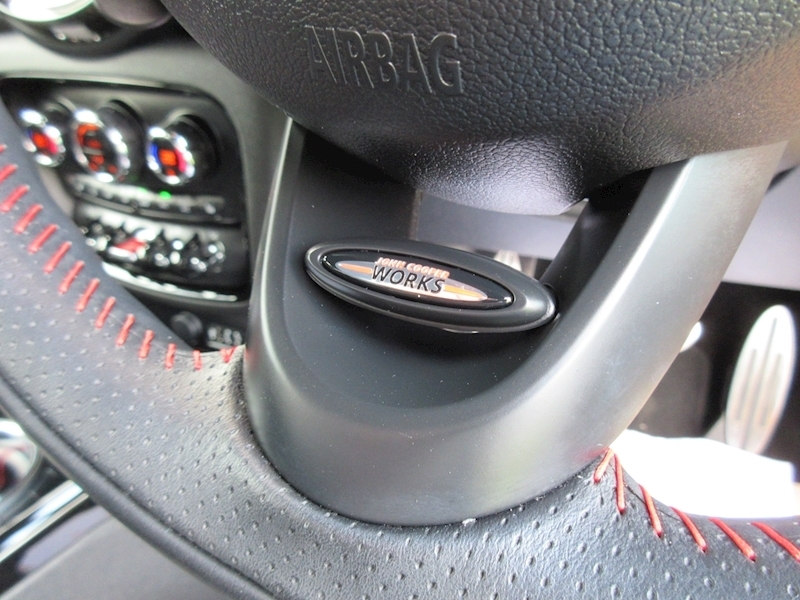 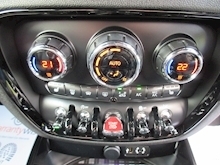 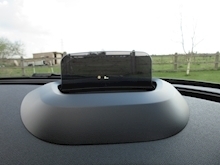 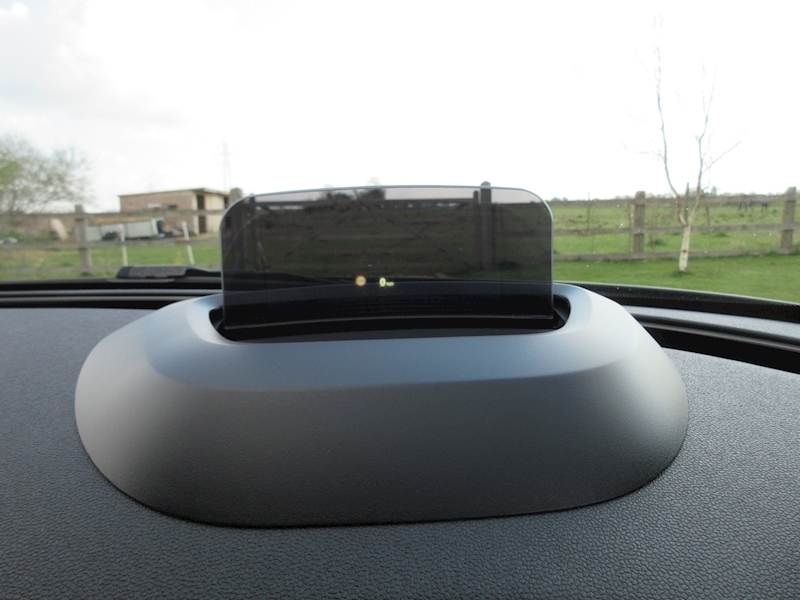 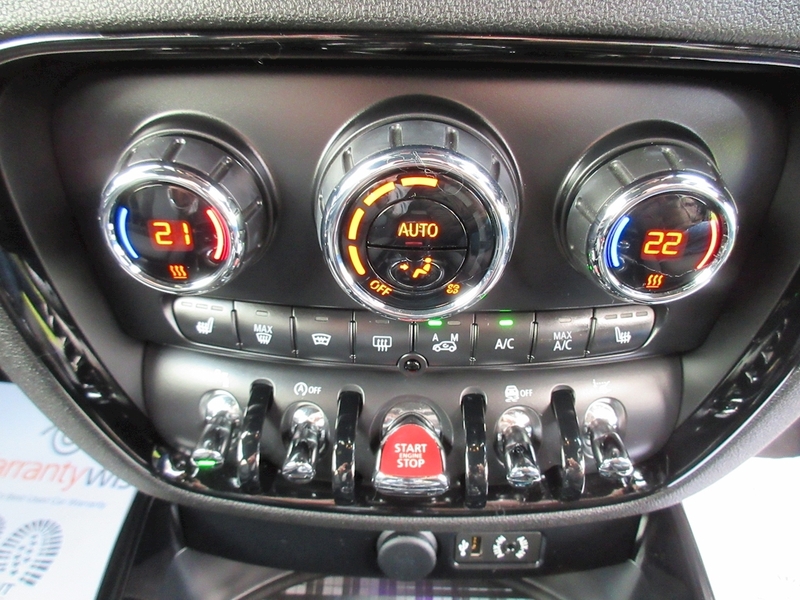 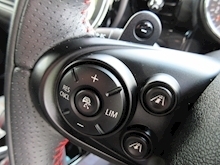 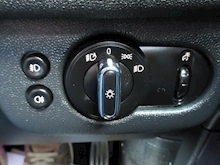 Chilli Pack also includes selectable driving modes, Ambient lighting, Dual zone climate control, and LED lights. 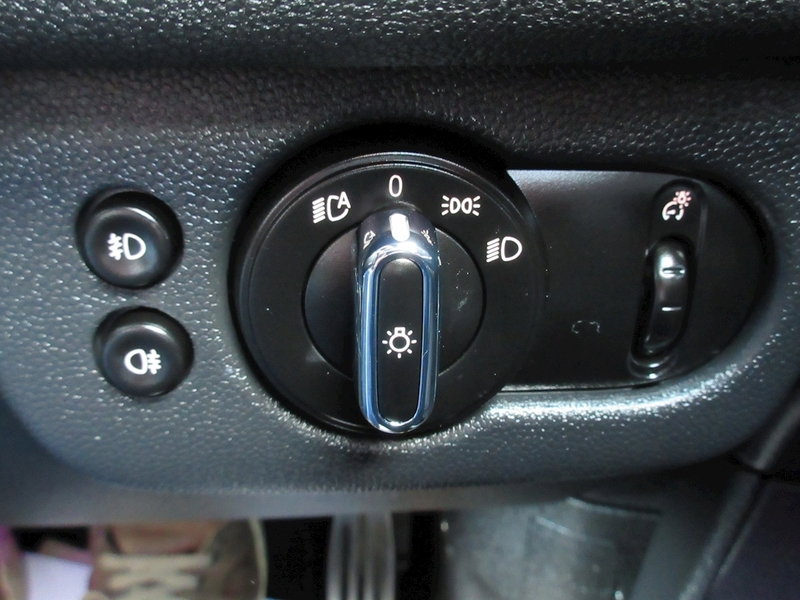 Standard features also include ABS brakes, Electric windows, Electric mirrors, Remote central locking, Power steering, and Multiple airbags. 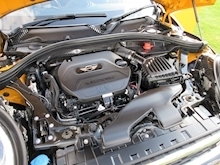 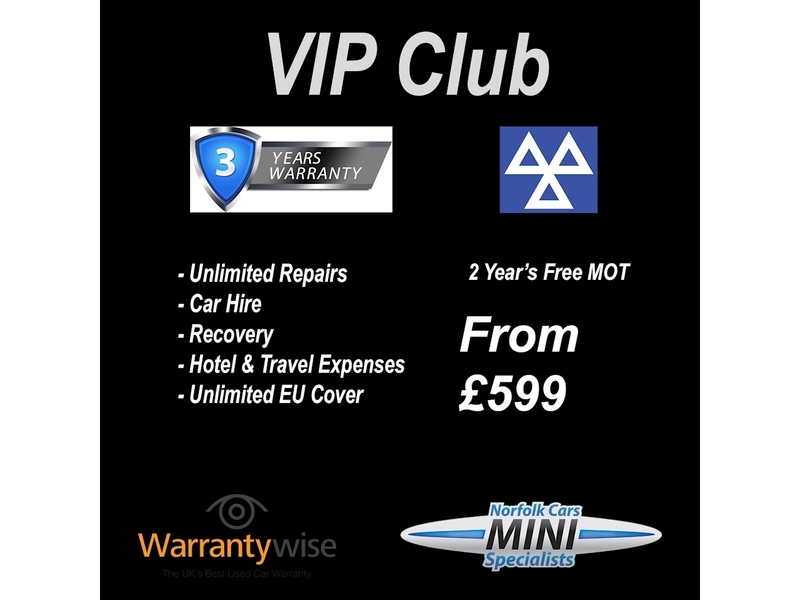 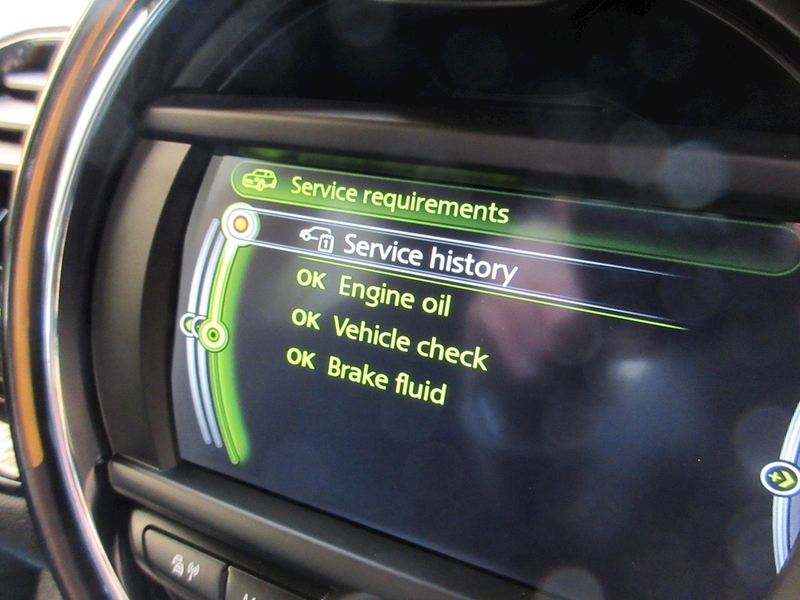 This car has a Full Mini service History and balance of the 5 Year / 50,000 mile TLC service pack. 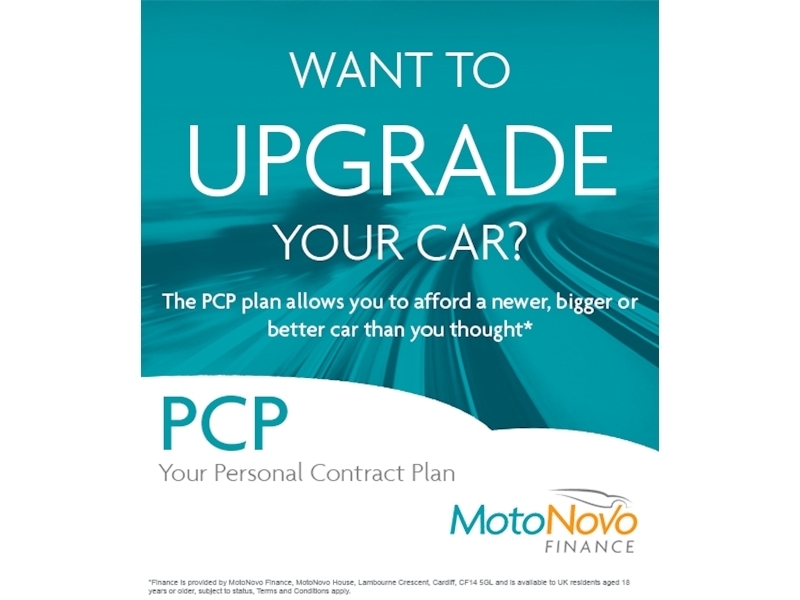 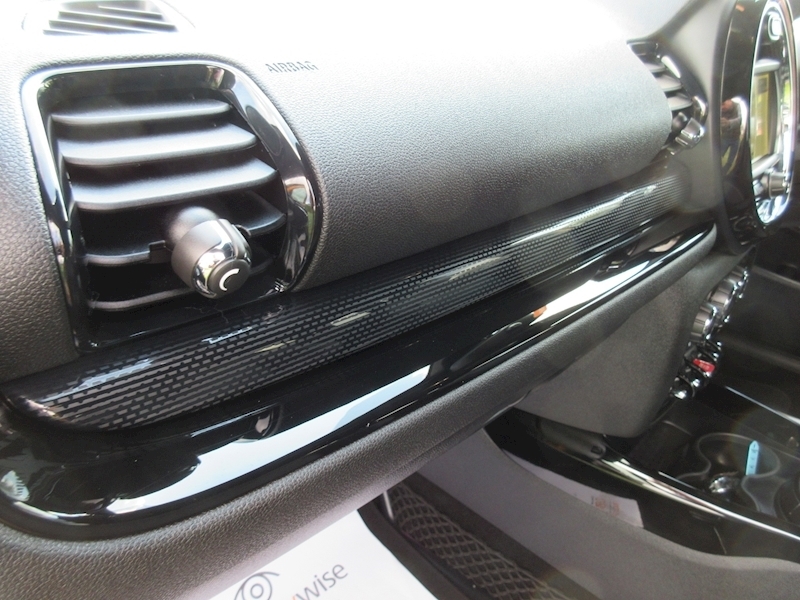 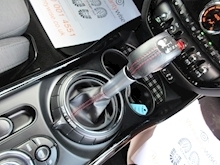 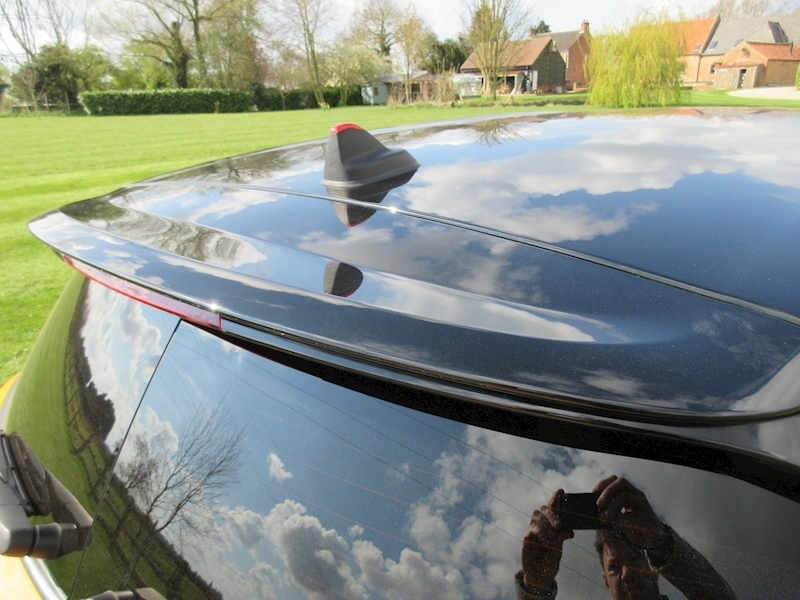 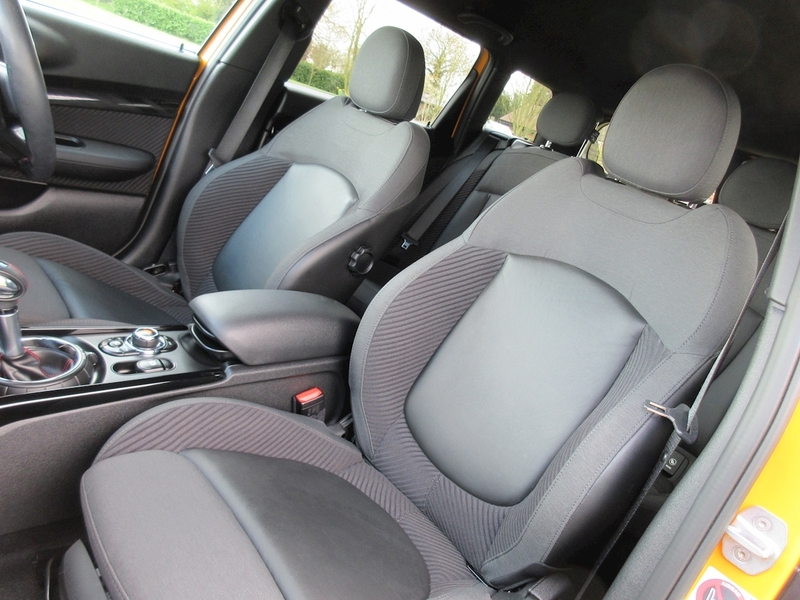 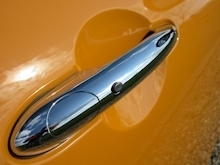 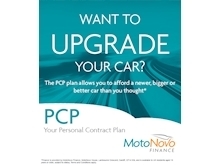 Keep this car in super condition, ask about our lifetime paintwork guarantee. 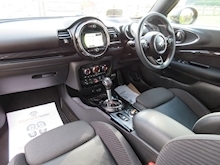 Buy with confidence, this car comes complete with Full Book Pack, HPI clear certificate, Two keys, and a comprehensive used car inspection. Any trial or inspection welcome, and a warranty is included. 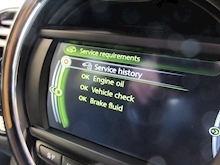 Finance is available subject to status. 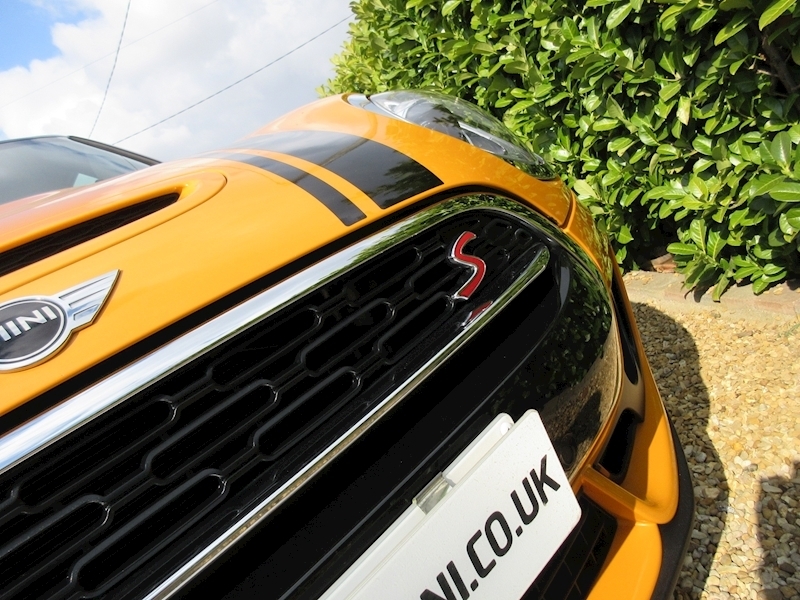 Viewings by appointment.